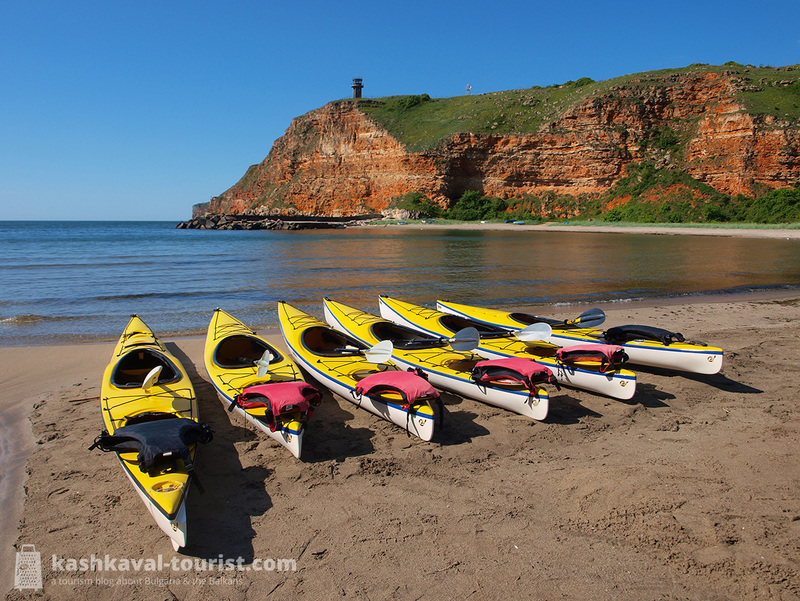 The Trip Kavarna kayaking tours all take place in the Kavarna area of the northern Bulgarian Black Sea coast, about an hour north of Varna and 1.5 hours south of Constanța in Romania by car. This corner of the Dobrudzha seaside is an unspoilt subtropical landscape. It’s the place where the southernmost reaches of the Eurasian Steppe meet the towering cliffs and secluded little beaches of the Black Sea. For accommodation, I can highly recommend the homely Levana Guest House in Balgarevo (nested between Kavarna and Cape Kaliakra) and the Guest House Nash Dom in Kavarna itself. Trip Kavarna’s tours take anywhere from one to eight hours. Depending on your fitness, your preferences and the sea and wind conditions, you can either hop on a quick one-hour learning tour or enjoy a full day at sea. Of course, whether you get a thrilling battle with the waves or a mostly chill boat trip along the coastline depends entirely on the weather, so you’d better be a bit flexible and trust the judgment of your guide. The prices are more than reasonable for what you get and there’s generous discounts for off-season, low season, groups, regular customers, you name it! Starting points for the tours are usually the scenic Bolata beach or Kavarna’s very own town beach next to Cape Chirakman. 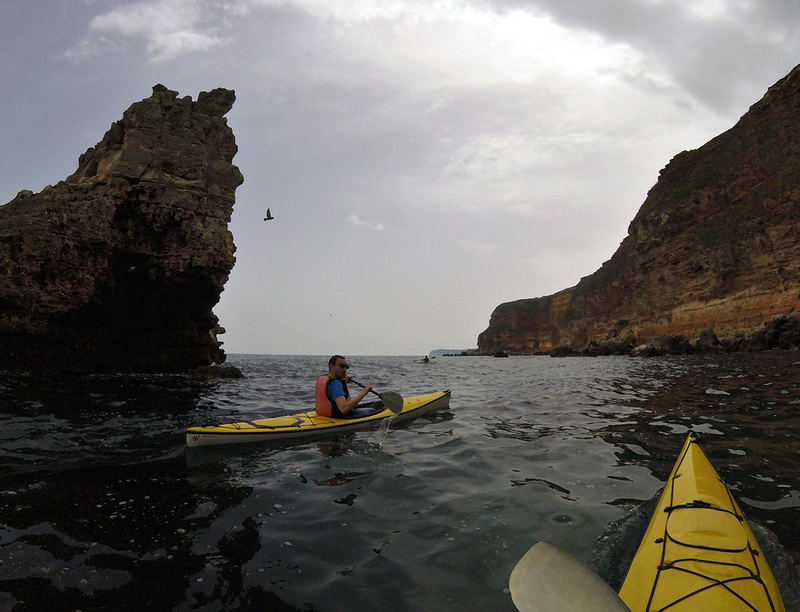 On both of my sea kayaking days, we used the Bolata cove as our basecamp. 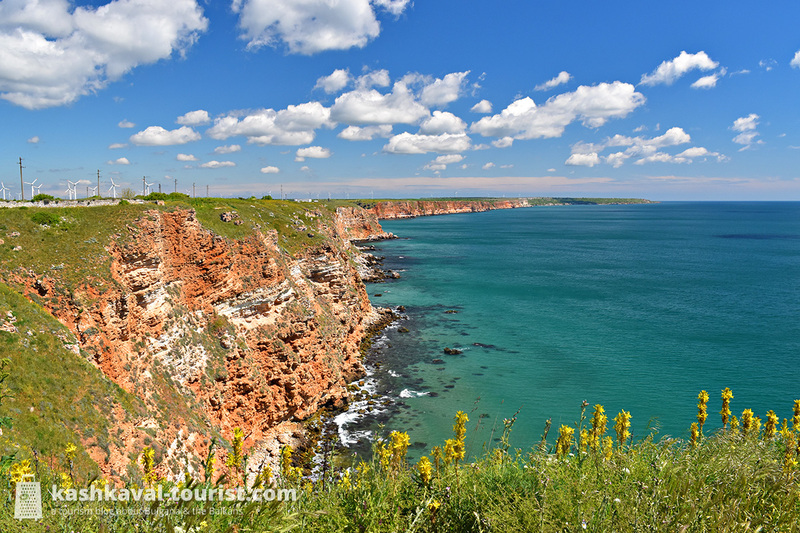 On my first tour, we rounded the magnificent Cape Kaliakra, starting from Bolata and ending at the Zelenka beach on the other side, past seabirds and fishermen’s stake nets. Paddling around Bulgaria’s most famous cape and seeing it high up above me from the water was a memorable experience. The route took about 2.5 hours to complete and though I could feel fatigue creeping in by the end, I can’t say I was totally exhausted. My second tour with Trip Kavarna went north to the Rusalka resort instead. On this route, I was able to see plenty of cormorants from up close as well as take in the vistas of the Black Sea cliffs that line up the shore. You can even enter a cormorant-inhabited cave midway if the waves allow for that! The tour lasted a little more than an hour, but its full-day version all the way north to the Tyulenovo Rock Arch takes six to seven hours and is one of the longest routes on offer. All in all, both times I got a nice mix of action and calm, with some decent but not too heavy waves, some pleasant encounters with marine life (if you’re super lucky, you can even paddle alongside dolphins!) and incredible sea vistas all the way. 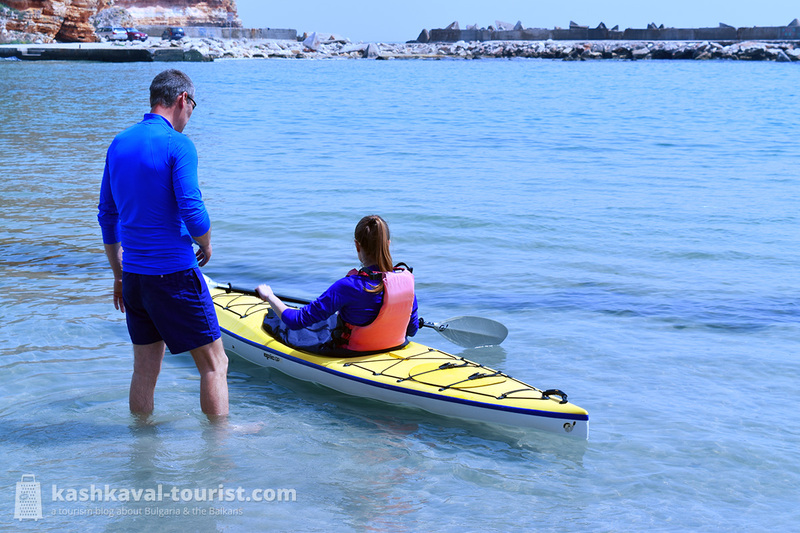 Would I come back to Kavarna for a third kayaking adventure? You bet!